There are many health benefits for sardines, a fish which is available in plenty at lower costs. 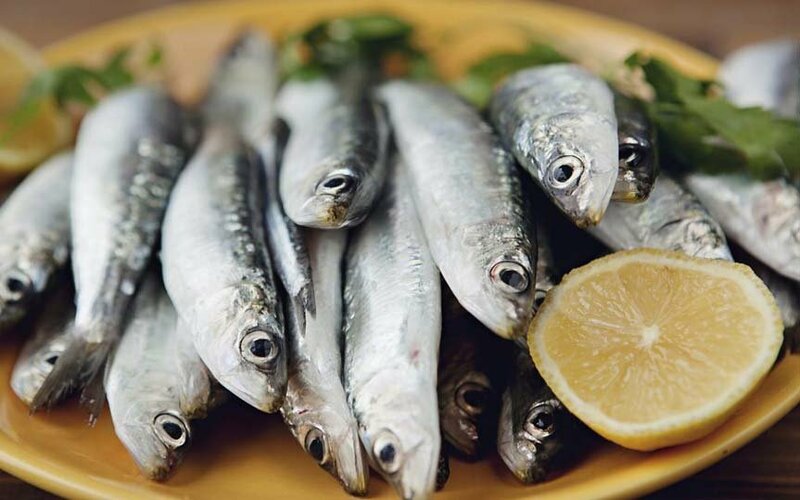 Generally, it is a fish which some people really don’t like to cook just because of its odour after cooking.This is because sardines contain Omega-3 Fatty Acids that helps in lowering the cholesterol levels mainly due to its anti-inflammatory properties. Remember that it is always better to get your Omega 3 fatty acids from the foods we eat, than getting it through the supplements. When diagnosed with heart disease, it is very important to follow a healthy diet which plays an important role in lowering your cholesterol levels. Anti-Inflammatory properties of Omega-3 Fatty Acids can reduce the risks of developing heart disease, high blood pressure and high cholesterol. Including Sardines in your diet is an excellent way to meet your Omega 3 Fatty Acids requirement. Sardines are at its best when taken in the grilled or baked form. It can be even cooked in a curry form instead of going for deep fry. Deep frying can lead to excessive oil intake along with Protein Loss and other Nutrients Loss. Sardines are also excellent sources of Vitamin B12. This Vitamin helps to lower homocysteine levels that is affected by the diet. Homocysteine is an amino acid (building block of protein) that is produced in the body. High levels of homocysteine facilitates the blood clot more easily than it should, leading to the blockage of arteries. By taking sardines this benefit can be availed. Sardines has moderate amount of vitamin D as well. Potassium present in Sardines can prevent vascular calcification, the built up of Calcium in the smooth muscle cells within arteries. Vascular calcification can lead to atherosclerosis in which plaques of fat, cholesterol, calcium and other substances build up in arteries which brings about diminished blood flow to the heart. Sardines and other bony fish are filled with minerals like Calcium and Potassium. Calcium in sardines can keep your bones strong and they also help your muscle and nerves to function properly. Including them in diet is a great option for those of you who are lactose intolerant, allergic to dairy or dairy products. You could also take them if you need more calcium and other vital nutrients. As with all fish, sardines may be contaminated with mercury to some extent. However, sardines are among those fish that typically contain lowest amounts of mercury, making it safe for pregnant women too. Since sardines are rich in Calcium and other nutrients, it is a very good option for lactating and pregnant women. It is not a great idea to include Sardines for those people who have gout or have elevated levels of uric acid. It can probably flare up your condition since they are rich in purines. Purines are substances in animal and plant foods that your body converts into uric acid. These compounds can raise uric acid levels which then builds up in the joints and causes painful gout symptoms. If you are not able to flush out uric acid through your kidneys, they tend to build up in the bloodstream and gets deposited as crystals in the joints and soft tissues. These crystals can cause inflammation and trigger a painful gout attack. So it is obvious that Sardines for healthy heart and much more. Keep liking it and add into your menu and stay healthy.